Greek Isles, Capri, the Riviera, Jackie Kennedy Onassis, Andy Warhol, Twiggy; people and places that conjure up the chic world of the jet set. To Tad Aldenburg, a child who discovers Jackie Kennedy on the cover of LIFE magazine, beautiful people provide escape from a world of canned soup, bickering parents, and Jell-O. Tad’s fascination with Jackie begins just as his mother announces the return of her younger sister. His aunt’s free spirit and globetrotting lifestyle open old wounds while secrets promise to cut even deeper. When Tad greets his aunt, he can’t believe his eyes. She’s torn from the same magazine pages as Jackie. The uncanny likeness sparks his imagination. We first meet Tad as an adult approaching his thirty-ninth birthday. After years of running from love, he may have found romance with Mike, a handsome CPA. But a ten-year age difference and suspicions planted by his over-protective mother and petulant brother stir anxieties. Can he accept the love that Mike offers? Temptation and doubt threaten his happiness, testing lessons learned in childhood. Tad awakens to news that a plane piloted by John F. Kennedy Jr. is missing. Stung by the recent deaths of his father and aunt, the unfolding Kennedy tragedy catapults Tad back to his youth. Could that turbulent journey help him find a path forward? Capturing the glamour and calamity of an era that includes the rise of Jackie Onassis into an international icon, Jell-O and Jackie O was a 2013 semifinalist in the prestigious Faulkner-Wisdom literary competition. 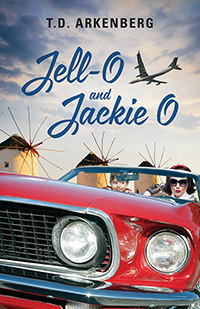 For his second novel, Jell-O and Jackie O, T.D. Arkenberg harvested his passion for nineteen-sixties’ culture. He released his first book, Final Descent, in 2013. 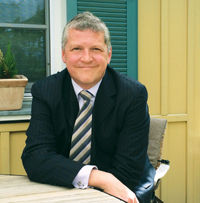 He has an MBA from The University of Chicago and a BA in Literature from Northwestern University. T.D. lives with his spouse in Brussels, Belgium. Visit www.TDArkenberg.com.